A Masters graduate of the University of Melbourne and the first Australian to graduate with a Doctor of Musical Arts degree from Yale University, Dr Calvin Bowman maintains an unusually diverse performance career which has taken him around the globe. As organist, harpsichordist, and pianist, he maintains a genuine interest in all periods of music. He is currently Ormond College Organist, and Associate Artistic Director of Australia Pro Arte. His principal teachers have included John O’Donnell and Thomas Murray, organ; Donald Thornton, piano; and Davitt Moroney, harpsichord. He has also attended masterclasses with Marie-Claire Alain, Michael Radulescu, Jean-Claude Zehnder, Gillian Weir and Thomas Trotter. An especial love of the music of J.S. Bach led to the performance of the complete organ works in 1995, leading one commentator to remark that “…at each step along the path of this massive enterprise (Bowman) is producing masterly interpretations.” In 2001, he was granted the privilege of re-opening the Melbourne Town Hall organ following its multi-million dollar restoration by presenting the world premiere performance of “Voices” by Philip Glass in the composer’s presence. This performance was repeated with the original ensemble members in Amman, Jordan in 2006. He has also appeared as keyboard soloist with many prominent Australian orchestras including Orchestra Victoria and the Melbourne, West Australian and Tasmanian Symphony Orchestras. Dr Bowman is much in demand as a soloist, accompanist and chamber musician. He was the official accompanist for the Australian Boys’ Choir on their tours to North America (2000) and Singapore (2007), and pianist for Derek Welton in his award-winning performances at the Mietta Song Recital Award (2006). Always supportive of the performance of new Australian music, he was the pianist in the world premieres of the revised version of Graeme Koehne’s Capriccio with Australia Pro Arte, and organist in Falling Man, Dancing Man by Andrew Schultz with the Melbourne Symphony Orchestra. He has himself commissioned a number of new organ works by the likes of Ross Edwards, Judy Pile and Julian Yu. Dr Bowman has also been composing for many years. His principal mentors have included Graeme Koehne and Ezra Laderman. 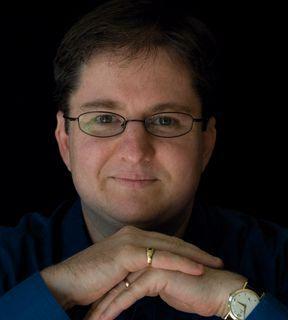 He is a laureate of the Ned Rorem Award for Song Composition, the Diana Barnhart American Song Competition, the English Poetry and Song Society Artsong Award, and been commissioned and performed widely by ensembles throughout Australia, the UK and the USA. Dr Bowman is currently a member of Australian Mensa and is a life member of The Australian Fulbright Association.